Cheltenham Festival 2019 kicks off on Champion Hurdle Tuesday, 12th March, on what is looking like it will be Good to Soft Going. This year, there’ll be tips for every race, which are created from speed ratings we store on all UK and Irish runners. We’ve found, over the years, that our tips are way above average, particularly in Each-Way markets. So, rather than selecting 1 horse per race, where the prices and fields are feasible (5 & 6 place payouts are the norm @ Cheltenham), we’ll provide a handful of Each-Way selections at double (and sometimes triple!) figure prices. Find the value, and enjoy the sport. Please feel free to share on Facebook, Twitter, etc – and also leave a comment at the bottom. Agree, disagree, and complain! Here’s to a successful and safe Cheltenham Festival! We’ve four selections in this year’s opener, all at long prices. Take as many places as you can get (bet365 are offering up to 9 (nine!) places) on the longer priced selections. Our ratings indicate they have talent, and time has told us that this means they have a great chance of getting nearer the front than the back. Grand Sancy is the top pick for us, for the in-form master of Cheltenham, Paul Nicholls. 12/1 for 5 places looks a strong each-way bet. The Big Bite has been gambled a bit of late, which is no surprise to us, as forgiving a below-par run at Kempton on Boxing Day (smacked the third, and never really got going afterwards) this was heading in the right direction until then. This horse has been partnered once again by the ever-impressive Noel Fehily for Tom George. At 25/1 overnight, The Big Bite looks like a decent chance at the long-ish price. Aramon is Paul Townend’s mount for the always deadly Willy Mullins yard. 14/1 on one of his looks too long, especially considering the performance last time out was a little below normal standard for this one (on the clock) and was still looking good enough for a win at Leopardstown before getting nailed close home. A return to best ever form would see this one very close to the front of the field on Tuesday. Finally, Normal Norman at 200/1 is the longest priced selection. Take every one of the nine places on offer (1/4 the odds at 25/1 FYI) and look for a repeat of the excellent performance shown at Musselburgh on this one’s penultimate start. The likely favourite in this year’s Arkle is going to be Mick Channon’s Glen Forsa, but we prefer taking a longer view about Willy Mullins’ trained Duc Des Genievres, under Paul Townend. Gordon Elliott’s Hardlines is our next best, here, while those who like longer prices will be interested in the Gary Moore trained Kocknanuss. We think Joseph O’Brien has a good chance of getting off the mark in the opening two races, but in the Arkle, 14/1 about Us and Them looks a decent opportunity to get on one who’s put down a nice performance on the clock, for a flying yard. A monster field of 24 is set to line up in the Ultima Chase Handicap. While handicaps are where our ratings really come into their own, with so many horses, there’s a little bit of luck as well as good judgement required to go in your favour over Cheltenham’s unforgiving old chase course. Magic of Light at 20/1 is our NAP for the day for trainer Mrs J Harrington, and jockey Robbie Power. Will need to recreate a best performance to win this – but who wouldn’t in this huge field – and also must be forgiven a couple of errors last time out, which led to an unseat. Not without risk, but if turning up on the big day, a clear round could spell profit at a stand-out 20/1 price. Shantou Village has no weight to carry on what may be testing conditions, and has won here before, albeit not in March (has tended to flop a little at the Festival if truth be told), but has gone well in the mud in a race which worked out very well. 100/1 may well look long if there’s a bit of wet weather about. It’s not a huge risk – a small investment could spell a big reward. Our ratings show a top 6 finish is possible. Usual partner, Robert Dunne will be in the saddle for trainer Neil Mulholland. At the other end of the weights, we like Lake View Lad who is 20/1 to carry 11-10 around this course, having won the last twice, this is a hat-trick bid, but the weights have dulled the figures we have on this one. A place seems more likely than a win under the conditions, but certainly this has the talent for trainer N W Alexander and jockey Henry Brooke. Up for Review is the apparently obligatory Willie Mullins / Paul Townend selection (that’s 3 from the first three races, all selected entirely on merit; the day’s likely conditions – perhaps no surprise given he is a master at campaigning and placing horses into races they can win… and winning with them!). 7/1 is actually shorter than we would rate this one’s chances, so not one to go wild about, but has a great chance under the conditions based on nice efforts the last twice. The last selection for this large field handicap is Crucial Role for the Skeltons Dan and Harry. 20/1 seems a really good price for so many places, given the performances this one has shown under similar conditions this season. Likes soft-ish ground. If there is a doubt, it is the extra 6 furlongs from our recorded “best ever” for this one, so it’s not without some risk attached, but this yard are shrewd and they always give their all. Won’t lose for lack of effort. We like Apple’s Jade a lot. Last time out we were sure, and we tipped strongly, and were not disappointed to see a facile win against a high class field at Leopardstown. We expect a tougher assignment today, but the same result for Gordon Elliott and Jack Kennedy. This is a high, high class field though, and one of the better Champion Hurdles in memory. Of the two each-way selections, Espoir D’Allen is consistently good. Both of the performances shown the last two times out look good enough to (just) secure a top three finish on Tuesday – on paper – making 16/1 a nice prospect. Global Citizen, on the other hand, by virtue of a couple of front-running efforts where blazing the trail hard, has on the stopwatch shown levels which are far superior to the 66/1 odds available for this one. Take as many extra places as the bookmakers will give – and remember it is not impossible this one could hold on at the head of affairs. Would need Apple’s Jade to be below par to do that. The Mullins / Walsh axis and ludicrously talented Benie Des Dieux make this odds-on favourite unavoidable, but the presence of this 5 from 5 since-joining-the-yard mare in this race does give a nice price to everything else. The clear value is in looking for something to place – and after 10-11 months off the track (because of “too fast” ground according to connections) the favourite is entitled to some ring-rustiness. Jester Jet goes for Tom Lacey under Robert Dunne at 33/1, having rounded off a consistent five seconds on the bounce with an impressive win last time out at Haydock, an improvement on slightly softer ground. Likely to get similar underfoot conditions, at a temptingly long price. Mia’s Storm goes for Alan King under Wayne Hutchinson, having done nothing but win this season, in far easier races than this one. Is prone to the odd gaffe, though, so 28/1 seems about fair. Needs to be sure-footed, but if clearing all the obstacles, has the talent to make the frame. Cap Soleil has not been seen since second to Laurina in the Mares Novices last year. We all know how good Laurina is (might be Champion Hurdler by the time this race goes off! ), and therefore, if this one is stripping fit, at 33/1 seems a really good each-way opportunity. The favourite looks like the class act of the race, but hopefully one of our each-way selections will give something in the region of 8/1 for a place. Consider a forecast / Trifecta for super low stakes, perming the favourite with our other selections. 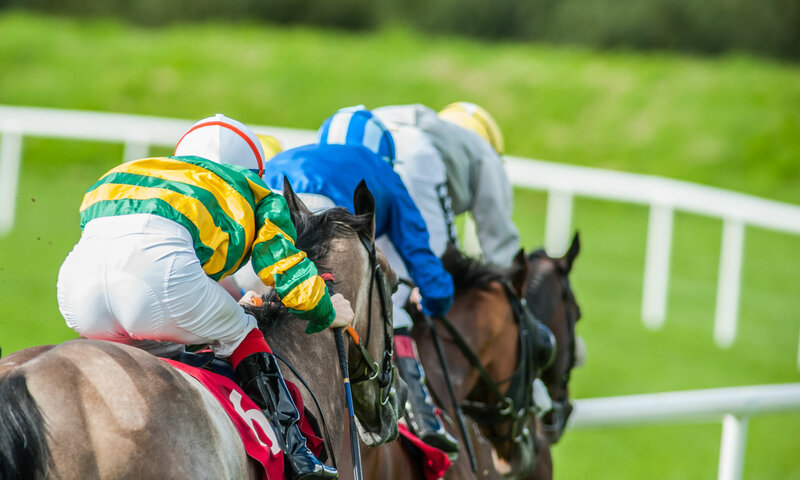 All these have shown the ability to lift a race of this nature, but this is a very very competitive handicap, and much will depend on jumping here. Springtown Lake and Red Indian were as close as possible to even before we factored in the negative of failing to complete last time for the latter. Springtown Lake could be Richard Johnson’s best chance of the opening day, for trainer Philip Hobbs. An amateur riders chase over what will feel like 4 miles in softer than good ground closes out day one. This is another competitive event, and all of the selections are backed by “professional grade” amateur jockeys, who know how to win big races: Impulsive Star, at 16/1 is ridden by Sam Waley-Cohen for N P Mulholland. Ballyward is yet another Willie Mullins trained fancy, ridden by son Patrick Mullins. Gun Digger goes for Gordon Elliott riden by Lisa O’Neill at 14/1, while OK Corral will be partnered by Irish champion amateur Mr Derek O’Connor for Nicky Henderson, running in the colours of great Cheltenham owner JP McManus. Of the four, if you only back one, take Impulsive Star each-way. The form shown last time out at Warwick under today’s rider was outstanding, a repeat of that would win this one. Anything close, will see an each-way return. Best of luck for the opening day!